This isn't flu season, is it? I've been down and out for the last few weeks with an apparent bout of the flu. I'm on the mend now, but I've got to say that it' s been challenging keeping up the normal work while sick; I think we all have days when you don't want to get out of bed; for me, that's been the last two weeks. The fields are tilled, waiting for the corn to arrive; been ordering from Albert Lea as they've got a good selection of organic corn strains; and shipping isn't terrible, but it does take a week or two to get here. I'm working on the planter to move the rows from its current 36" rows to 30" rows, so that its identical to the combine and to the cultivator. 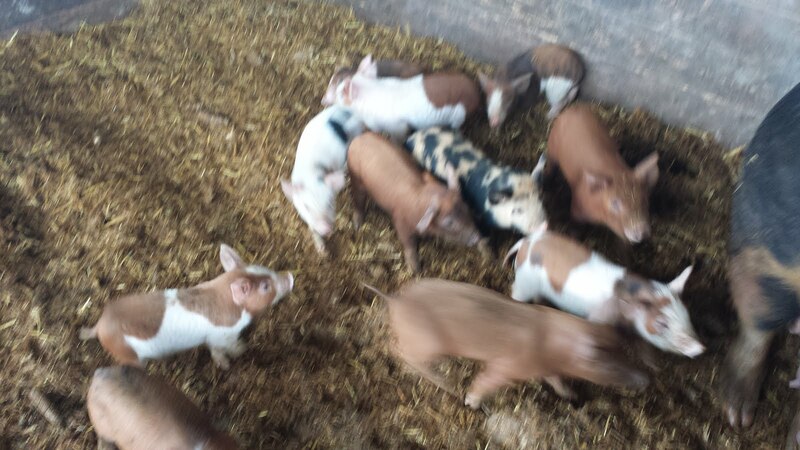 Piglet sales are slower than usual; I've been holding back on selling the pigs that have had a health problem; they're looking ok but I want to make sure that they're past whatever it is before I sell any more of that batch. I've got new batches that are not showing signs at this point. So I think we're done with this.